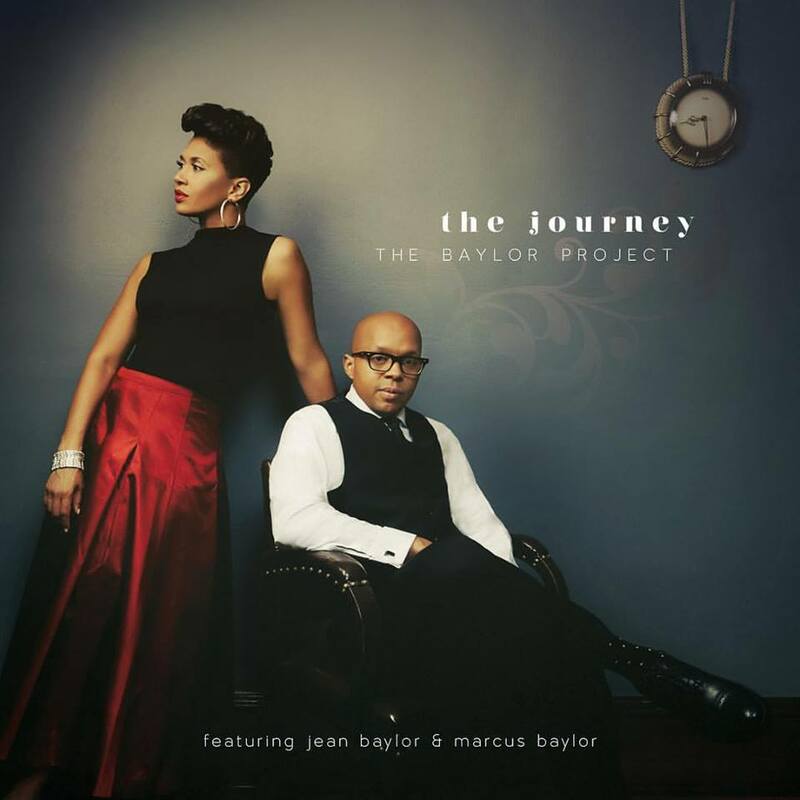 The Baylor Project | The Journey - TheUrbanMusicScene.com | Music Reviews! The album starts off SMOKIN’ with a piece called “Block Party” that sounds like Jean sittin’ in with the church band while it plays for the folks as they enter the sanctuary…or a rehearsal where the singer can’t stay away from the band and makes like an instrument to better fit in, There are no words to this piece. It’s one where you get your spirit filled on the vibe of the music alone. For those seeking a lyrical infusion of church, it is followed by a gorgeous jazz arrangement of “Great Is Thy Faithfulness” which features Baylor as shadowed by Marcus’ former Yellowjackets band mate Bob Mintzer on tenor sax. Then there is a dreamy float through Herbie Hancock’s “Tell Me a Bedtime Story” re-titled “Tell Me a Story” with yet another set of lyrics, this time by Jean (previous lyricists range from Herbie’s sister Jean Hancock to singer/songwriter Nicki Richards more recently in 2014 for her CD, Tell Me…). The Baylor’s’ stands up with them all. The middle section comprises their romantic bow to American Songbook gems “Tenderly,” “Our Love is Here to Stay” and “Summertime”…faithful, true and ocean blue. Also included is a tender southern-tinged ballad original “Again” buoyed by soul-steeling strings and horns, and some mighty drumming in the center from Baylor before the arrangement dovetails into a hard swing. Most dynamic is the one two punch of the interlude “Voice of the Drum” leading into a reverent roar through Mongo Santamaria’s “Afro Blue” that whisks the listener back to the majesty of The Motherland. The Journey closes back at the church house with the instructional Aretha-like “Laugh and Move On” followed by the title track, sound pastiche portraiture autobiography of our hero and heroine Baylor. I can’t praise enough the uniqueness and passion with which this CD was created. Exquisitely packaged, this is one of the year’s best thus far you’ll want to display at home and take with you as part of the soundtrack to your journey. One Response to "The Baylor Project | The Journey"